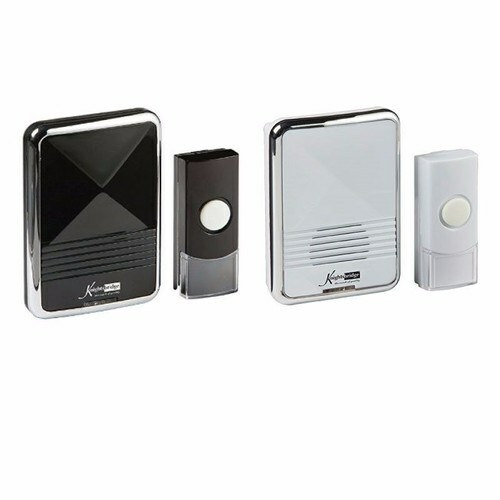 The Knightsbridge DC002/DC003 is a versitile Plug In wireless door chime & push which requires no wiring. With many handy little options such as 36 melodies, flash, ring or flast & ring it is a versitile package to meet your requirements. Finished in a high quality Polished Black with a Chrome Effect Trim. 80m Transmission range (dependent on environment). Available in both Black & Chrome or White & Chrome finishes. Instruction Manual/Specification Sheet - Click Here. Hi Guys Can you just buy the bell? Can you advise on changing the bell?, i have used a flat screwdriver to remove cover but it does not work.